Series Expert is an alternative skin revival program. Innovative products solve problems without plastic surgery and in-salon treatment! Formulas of products and techniques for home use are designed using methods of aesthetic medicine and plastic surgery. The principle of treatment from Series Expert is to solve problems quickly, efficiently, safely and reliably, without complications, side effects or resorting to radical methods. With aging we are faced with skin problems such as appearance of wrinkles, skin loses of elasticity, sagging of cheeks, development of double chin, changes of face shape. This is because over time body starts to produce less collagen and elastin - elements that are necessary to keep skin’s elasticity. Visually the loss of a youthful oval face adds more age to a face than wrinkles does. "Face Lift" Face & Neck Cream is designed not only to fight the effects of skin aging, but also to diminish the reasons for them to occur, as it affects key molecular mechanisms. 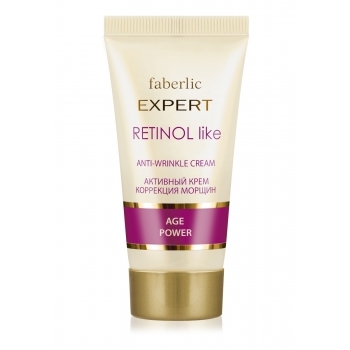 Tightens, models and enhances facial contours. 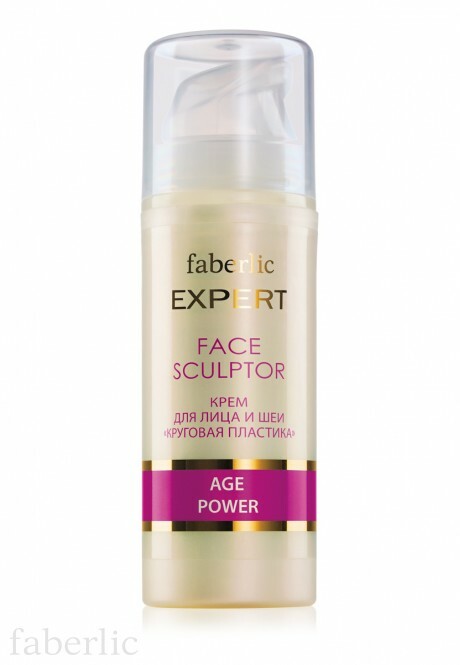 Prevents skin sagging on cheeks and chin and stops deformation of facial contours. Restores skin’s elasticity, firmness and tone. All volunteers noticed skin’s firming and smoothing after using the product that contains Papylactil D ®. 71% of participants noted that contours of the face have tightened significantly. 90% noticed significant improvement of skin tone. Papilactyl D,® the patented earthnut oligosaccharides complex, protects the papillary dermis structure and promotes the synthesis of collagen that is responsible for skin elasticity; prevents skin deformation and fights deep wrinkles; restores the required level of highly-elastic oxytalan fibers to make skin supple and elastic. Basaline® , the rejuvenating barley malt complex, improves the synthesis of laminin - the adhesive skin protein that reduces by half with ageing. Laminin sticks collagen fibers and epidermis basal membrane together, reduces saggines and improves skin elasticity. Stable form of Vitamin C reinforces capillary walls and promotes the synthesis of collagen. Hydrolized wheat gluten delivers more defined face contours and reduces the appearance of fine lines. Hyaluronic acid, a natural component of skin matrix and the most effective moisturizer, keeps skin supple and elastic. Novaftem-O2™ complex infuses skin cells with oxygen and amplifies the effect produced by all active ingredients. Program "Strengthening of face oval": effective for the skin that loses its elasticity due to aging processes or under the influence of environmental factors. A few drops of active serum with collagen apply on a clean face, neck and chest. Then apply Face and Neck Cream "Ideal plastic" (1078) to the same area. Duration of the program: every evening for 60 days. 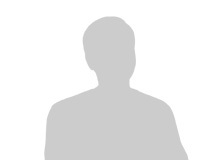 Precise shape of the face. Apply the concentrate for the face, "Stop wrinkles" (1060) or serum "Correction of deep wrinkles" (1063). 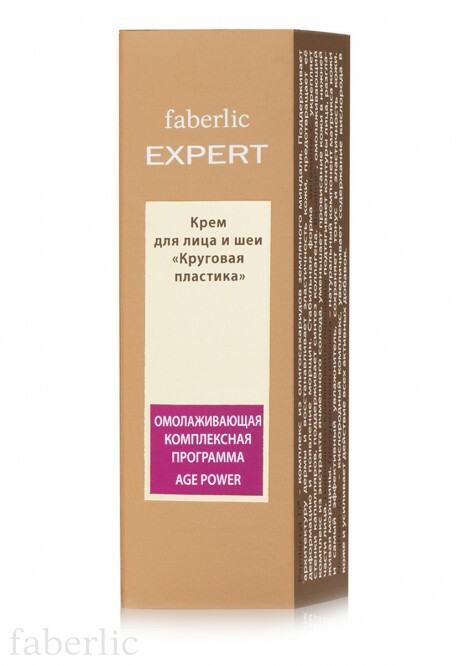 After 10-15 minutes apply Face and Neck Cream "Ideal plastic" (1078). As a result, the elasticity and firmness of the skin increases, facial contours “lifts” and skin gets smoother. Duration of the program: at least 60 days.